What does financial happiness mean? Happiness is the key to living a full life. Everything about us is all about striving for this emotion. Our every decisions are usually influenced by the things and events that we know will make us happy. But how does this relate to our finances? In this day and age, our finances is one of the measurements of our success. There are so many things in our life that can be affected by our current financial condition. When we have credit obligations, we want to achieve debt relief to live a happier life. When we do not have enough money to finance all our expenses, we feel stressed. Our pursuit for a higher income is all because we want to be happy with your financial situation. Here are some of the reasons why we encourage you to seek out happiness with your money. Money is a measurement of your success. Like it or not, we live in a materialistic world that is ruled by consumerism. You need to have a certain level of possessions to achieve happiness. Money gives you confidence. There is something about being wealthy that makes you feel confident- especially when you know that you worked hard for it. Money removes the stress from your life. A benefit of being confident is it removes the money stress. You know that you will not fall short in financing your needs and that is important in finding happiness. Money helps you control your future. As a tool, your money will allow you to pursue life goals like a comfortable retirement, proper education and decent living conditions. It is important to know that financial happiness is actually a state of mind. When you perceive money as a tool that can allow you to reach life goals, then you will know just what it takes to be happy about it. Do not let money dictate how you should be happy. Instead, use it to drive yourself towards the things that you know will make you happy. Remember that you become happy based on the parameters that you have set in your mind. The truth is, money can buy you happiness but only at a certain extent. An ABC News article mentions that people are made happy by money but only until they are able to provide for their basic needs. But beyond that, any money that you earn will not have a significant contribution to your happiness. In the same way, AARP showed in their infographic that your income matters but it will not guarantee happiness. It is only a resource that you use but when you apply it to the wrong areas in your life, it will not breed you the happiness that you seek. Although money is evidently not the end all and be all of your life’s happiness, you need to recognize that financial happiness is connected to it. You have to remember that you need to achieve a certain level of finances to be happy. And when you do, that is when you can use it to give your life more joy and contentment. Being happy with your personal finances is easier than you think. Some people have all the signs of this happiness but they are unable to feel it because they are looking at the wrong things. There are certain qualities that we focus on because we think that it will bring us happiness when in fact, these are not the causes of our distress. Here are the three truths that you need to know to feel financial happiness. It’s not about the debt, it’s about money management. We all look at debt in a very bad way and we have enough reason to do so. With the debt devastation that we felt during the recession, it is enough for us to want to fear this financial situation. But here’s the truth: debt is not the problem. There are people who are in debt but they are perfectly happy with their finances. You know why? Because they know how to manage it. When you realise this truth, you will not be afraid to use debt to propel your finances to greater heights. You can have loads of debt but if you know money management, you will find happiness regardless of how much you owe. An infographic released by AARP.org revealed that people who feel that they are in control are bound to be 2.5x happier. According to the infographic, this control is usually linked to having a high income, education, healthy life and absence of a major life event. The last one probably refers to a negative event in a person’s life. When you practice money management, that is one way for you to maintain control over your finances. Even if you put yourself through debt, if you know how to manage your money, you can keep that debt from ruining your life and staining your financial happiness. It’s not about earning more, it’s about personal fulfillment. We’ve mentioned previously that having a higher income can help make you happy about your finances but you need to realize that it is not the amount. It is the control that it gives you over your money. That being said, you should know that your happiness is not entirely reliant on how much you are taking home every month. It is more on how you feel fulfilled about your work in general. Notice how some people have so much income but they are not really content? They work day and night trying to increase their income but they still go home unhappy. That is because they are focused on the money – and not how they earned it. An article published on ABCNews.com last March 2013, it is revealed that when you find meaning in your daily work, that makes you happy. When you know that your work has a purpose, you will feel more satisfied with your money – regardless of how much you are earning. That satisfaction breeds financial happiness. It’s not about your net worth, it’s about security. Lastly, we need to break free of our obsession with growing our net worth. It is true that being rich is a good achievement but it is not a prerequisite to happiness. You have to realize that we need to be secure to make happiness more of a reality in our lives. When you are focused on increasing your net worth, you sometimes get to obsess about the wrong things. 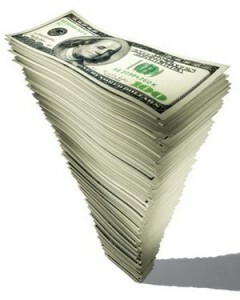 You monitor the money and you tend to tire yourself out trying to reach a higher level of personal wealth. That pursuit can be tiring. What you have to concentrate on instead is to build up your financial security. This includes building up your emergency fund and making sure that your future (e.g. retirement) is taken cared of financially. An article published in DailyFinance.com discussed the different emotional traps that makes a lot of Americans miserable. Guess what the first trap is? Uncertainty. Being uncertain gives you a feeling of helplessness that is a contradiction with the control that fuels your financial happiness. When people are uncertain, the stress level goes up and we all know what happens when stress enters the picture. You need to deal with this uncertainty by strengthening your financial security. That is how you increase your happiness meter.